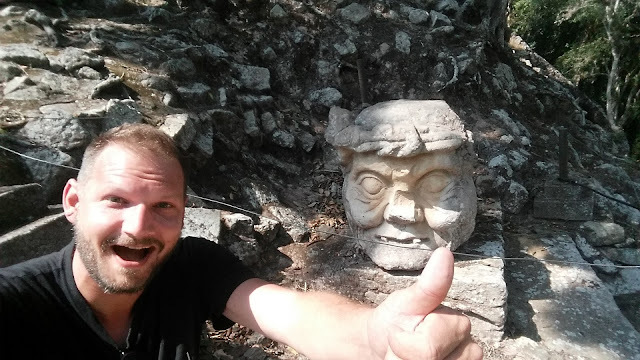 The Mayan site of Copan Ruinas was where I'd tackle my first mission on the Honduras Challenge. Copan Ruinas was the creative hub in the Mayan world. A bit like California in our world today. The temples are rich in decoration and you find loads of different sculptures. My goal was to find 'The Elder's head' and 'The Monkey God' somewhere in between the remains of this ancient civilization. How cool is that!